Chris Carey, Andy J. Howard, David Knight, Jane Corcoran & Jen Heathcote (ed.). 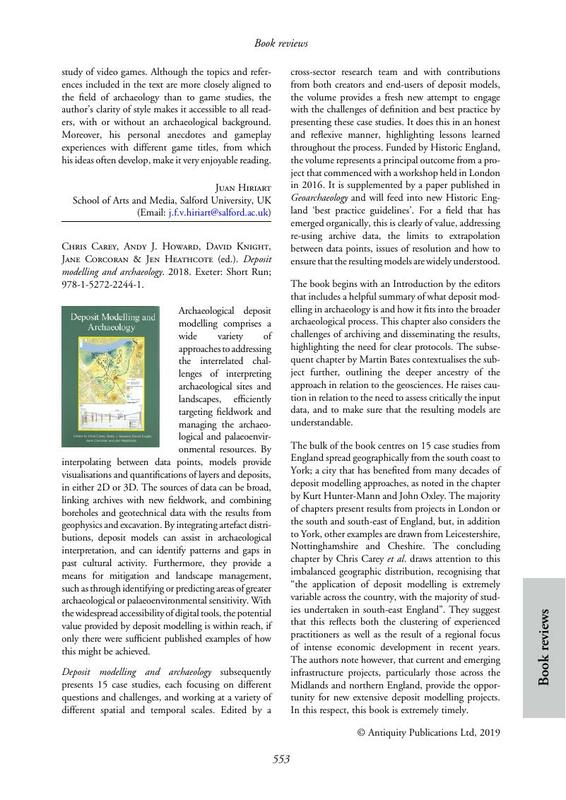 Deposit modelling and archaeology. 2018. Exeter: Short Run; 978-1-5272-2244-1.